One of our newest crimefighters here at Auror HQ is Fallon Savery. A veteran of the startup scene with invaluable experience gained helping build and scale other companies, Fallon’s role will see her leading our customer-facing teams and laying the groundwork for Auror’s growth in new markets. With her taking on such an important role, we got her insights on why she’s chosen to take up the role at Auror. Hi everyone! 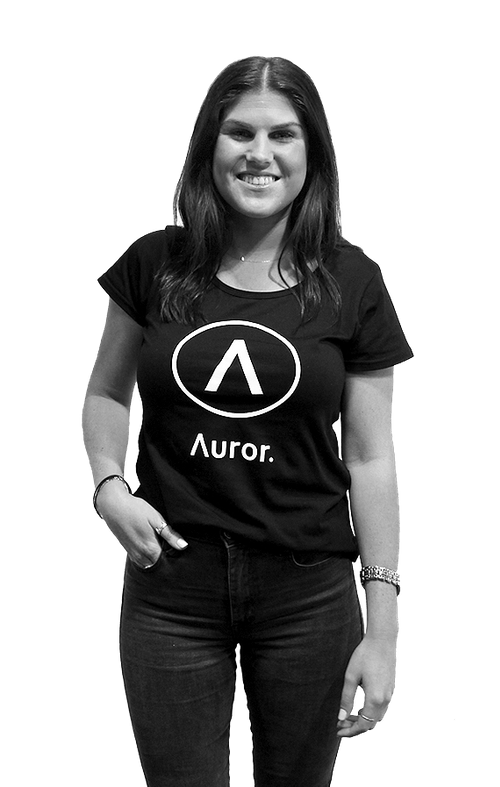 I’m Fallon, and I couldn’t be more thrilled to have joined the team at Auror and be taking part in such an exciting time in our journey. Read on to find out why. The most appealing factor to me was the space that Auror’s working in. What’s more interesting than fighting crime every day? Combine that with the fact that we’re making a real difference in communities and have a role in creating better social outcomes, and that’s something that I can really get behind. The fact that we’re doing it using new and really innovative technologies makes it all the better. The other draw was the people and culture at Auror. There’s a real sense that we’re a team, and the focus on creating a space where people want to do their best work is really evident here. In addition to that, the team is comprised of super talented people that have a real passion for the work they do. That’s a really rare combination, and to be here at such an exciting stage of Auror’s journey makes it even more awesome. Especially now after joining, I feel like it really is the best time to be at Auror. We’re starting to scale the company and expand into new territories like Australia and the US, and it’s the perfect time to add my skill set to the mix building out our customer growth journey, working closely with the sales, marketing and customer success teams. That’s where my background has been strongest. In my last role at Vend, another Kiwi startup company working in the retail sector (albeit a different area), I founded and grew our Australian office, and worked with others to build our customer journey so that we had a crystal-clear understanding of how we engaged with and supported our customers. Prior to that I was with Citrix where I coordinated the new enterprise customer rollouts. It’s truly great that so many of our users at Auror are already hugely enthusiastic and supportive about our product, and I’m looking forward to building out the same roadmap for Auror. Our next chapter is going to be a really exciting one. Auror has built up a great base of customers that are doing incredible work already, and I’m looking forward to exporting that success into new markets around the world. And of course we’ll continue to look after our own patch here in New Zealand too. Keen be part of our journey? Check out our Careers page for details about how you can help fight crime, make our communities safer, and be part of an innovative and fun company.